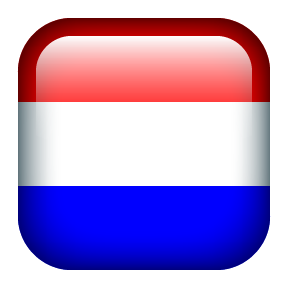 As we have mentioned behind the button “About us”, we do not claim to be the only one, but we are actually the first! 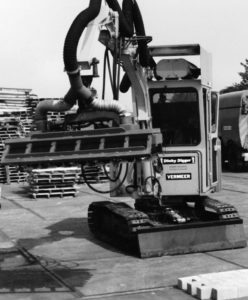 Our Godfather, Hans van Nifterik, stood on the threshold of the first paver laying machine with the use of vacuum technology at the end of the seventies. 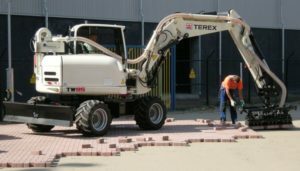 Hans van Nifterik designed the 36-stones suction plate which was assembled on the first minidigger Dinky Digger and then the paver laying machine was born. From this time on, one development succeeded the other in full speed, during which we always acted as locomotive while a certain amount of wagons followed. 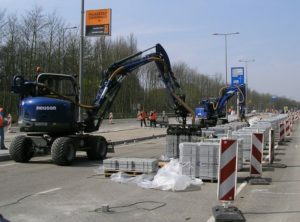 We are proud to state that van Nifterik won several innovation prices with his developments in this area and that the record, as mentioned in the Guinness Book of Records: paving 1,201 m² in 8 hours was performed by a machine built by HAMEVAC, a record that has not been equalled up until today, let alone improved. You can assume that we understand that you would like to remain both flexible and (not insignificant) productive, apart from the improved working conditions. During these 35 years of experience, we have learned what is important to you and how we should adapt this in your situation. 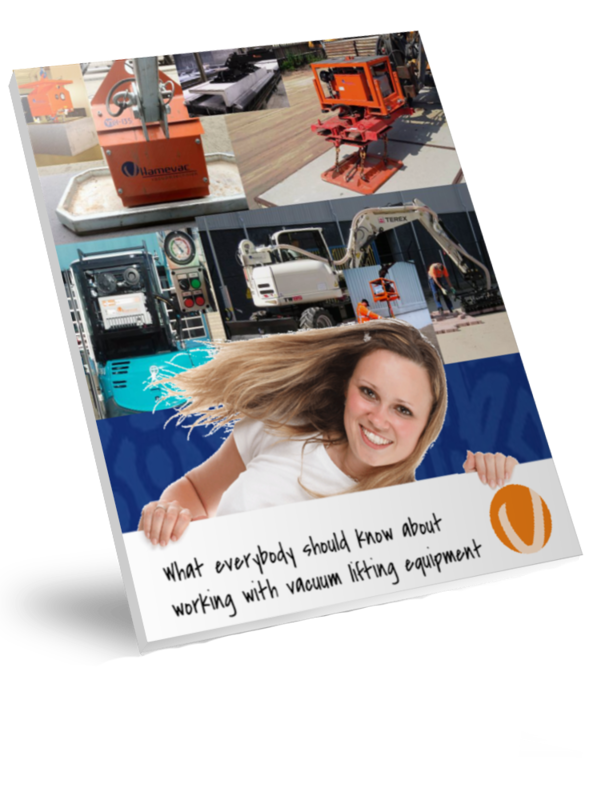 You can turn to us for the assembly on all suitable machines and we can help you with several types of suction plates for the different products that have to be repositioned. Obviously, we do not want to exclude high vacuum as we also apply this on our own products, but the point is that practical experience has indicated that people who work with paver laying machines still prefer blower vacuum. First of all, the blower vacuum has a much larger capacity, 870 m³ (nowadays even 930 m³) compared to 360 m³ for high vacuum. This higher capacity has two important advantages. First of all, the increased capacity makes it considerably more reliable and in the second place, the concrete products that have to be relocated are porous in most cases and the increased capacity can handle a much higher porosity (leakage) as a result of which the concrete products adhere in a more rapid and better manner. In addition to the higher capacity, the blower vacuum has another advantage, it has low maintenance. Contrary to the high vacuum, there are no slides and lubricant present in the vacuum pump. This condition prevents the use of costly filter cartridges. These pumps are finished with simple dust bags that can be emptied quite easily and have an average life span of 2 years. If you would like to keep producing without problems, please contact us so that we can make sure you can get to work and keep it going.